Blinds and shades are window coverings common for similar purposes such as giving privacy to the people inside a particular establishment or protecting the interior part from direct sunlight. – Slat blinds made of vinyl or metal is consisting of many flat horizontal slats connected to a string which have a 170 degrees rotation adjustments for hiding the light or it can be pulled up to clear the window. The blind rotation is dependent on the connector being attached to a pulling cord or string, so the lowering and raising are done by pulling different strings. – Venetian blinds are slatted blind having either a plastic or metal composition. There are also available slats made of wood pertaining to wood or bamboo blinds. The slat width ranges from 50 to 120mm but the most common width is 50mm. – Mini-blinds are Venetian blinds having narrower width slats ranging from 19 to 24mm. – Vertical blinds have slats made of plastic, metal or stiffened fabric hanging from a track on its one end. The horizontal slats has a 90 degrees rotation for allowing light to pass or can be fold up to either side of the window or doors. They also called as track blinds. • Holland blinds also known as roller shades can be pulled down to roll the window blinds. • Wood blinds that are woven have slats made of decorative bamboo, wood or other woven natural material with a colored yarn, simple string or other materials having decorations almost similar to a solid blind. This blinds are roll up or fold up for light adjustments. Woven wood blinds are affordable shutters alternatives, energy efficient and has a greater control over lights. • Pleated shades are made of fabric with pleated shades being pulled up so that it could flatly sit on the window’s top corner. • Honeycomb shades resembles a pleated shades, the only difference are the other layers being sewed on the pleats forming a compartment trapping the air for insulation purposes. 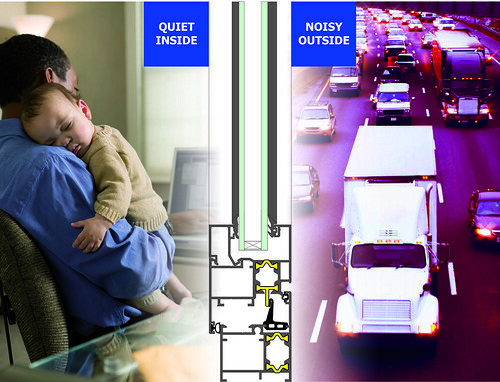 If you want higher insulation and energy efficiency, look for more cells counts. • Roman shades are made of woven wood or fabric. It has excellent insulation and easier operation. Blinds and shades vary in kinds, so choose what suits your needs best. Window blinds are the coverings used for the windows to give shade and privacy to your place, generally attached to the interior side of the window. The good thing about using these blinds, is that you can control the amount of light coming in simply by adjusting the blinds. • Venetian blinds: Introduced around 1770 in Venice, these blinds are made of plastic or metal, and sometimes even wooden slats are used, which are known as wood blinds or bamboo blinds. The width of the slat ranges between 50-120 mm. • Miniblinds: These are basically venetian blinds that have slats measuring from 19-24 mm only. • Vertical blinds or track blinds: These blinds use plastic or metal horizontal slats which can be rotated ninety degrees to allow the light to come in, or can be folded to the side for a clear view through the window. • Holland blinds: Known as roller shades, as they have rolling window blinds which can be pulled down. • Woven-wood blinds: The slats used are made of decorative wood or bamboo, which are woven together using colorful yarns or other decorative material. These blinds can be rolled up or folded out of the way. They are energy efficient, have greater light control, and are economical alternatives to shutters. • Pleated shades: These blinds consist of pleated fabric shades which can be pulled up to the top of the window. • Honeycomb shades or cellular shades: They are similar to pleated shades, but here there are two or more joined together at the pleats forming compartments to trap air, thus giving the room insulation to save on your energy bills. Cellular shades come in various styles, such as double and triple cell styles. • Roman shades: These blinds have a cord woven through the fabric that allows you to raise or lower the shade in an accordion pattern. They are easy to operate and are very efficient in insulation. While installing your blinds, you should see to it that the blinds are unobstructed such that when it is fully extended, it can still hang freely. It is necessary to cut the blinds to make them fit in the windows. You have to measure the width and length correctly before cutting the blinds. You can also put the blinds in your bathroom windows. Choose pleated or cellular shades with privacy backing to keep outsiders from looking into your windows. You can choose the window blinds that suit you best from the variety of blinds available. Window blinds are extremely beneficial, not only for protection from sunlight, but also to prevent onlookers from peeping through your windows. Have you ever considered the importance of your screens at home? If you have not, you should start looking at it with much significance. Despite the fact that without the panes, a house can not be rightly branded as such because a part is missing, the absence of which will take away the privacy you might be looking for. If you shop around, stores will never run out of products that will answer your need for secrecy. There are the likes of curtains, vertical window blinds and valances, among the others. Let us pay good observance on vertical window blinds. It will never be undeniable that the price will always play a huge factor on your choice. One of the least expensive is “mini one- inch aluminum” due to the lack of an energy- efficient feature. However, as it is compared to other of its kind, it provides view control and fantastic illumination. This is such a good choice when you are planning in a long- term basis since it can last for five years or even more. Other cheap vertical window blinds are vinyl shutter that has an embossed flair, roller shades that is not made out of fabric, wood shutter that will allow you to save more than those with stained hues, pleated shades that has blackout backing, cellular shades that has light filtering and pleated shutter that has privacy support. There are still a lot that you can choose from albeit, the most inappropriate is to mount a PVC kind in a Victorian motif. Talk about irony here. When putting up vertical window blinds, see to it that it should also look good from the outside. However, when the glass has been tinted, there would be of no use. Albeit when it is transparent, you should not care less. Putting that your home has a lap sliding in a horizontal manner, utilize one that is standing straight in nature. If you are living in a condominium, check out the guidelines set first because the management may be requiring its tenants to have it uniformed with the rest. Energy- efficiency was mentioned earlier and you might be questioning why it has to be included. If money is not a big issue in your life, might as well not be cautious when purchasing. Although, if you are on a tight budget, the advice is solely dedicated for you. When you prefer an energy- efficient material, it will be of huge assistance to your pocket. It is even said that the payback period can extend from two years to ten years. It simply means that the value spent on the item can be reflected on your monthly bills. If you want durability in window coverings, aluminum blinds will give you the peace of mind you crave. They do give you the special ambiance you want for every room of your home and you can color coordinate the blinds with the décor. Aluminum blinds are manufactured with this in mind as well as the fact that people want something that will last. When you purchase blinds, you have a choice of vertical blinds, mini blinds and Venetian blinds in the aluminum line. Aluminum blinds look just as good in a formal dining room as they do to the window of a rec room in the basement. Although aluminum blinds are more expensive than vinyl, they are cheaper than wooden blinds. You can have aluminum mini blinds with a 1 inch slat or aluminum Venetian blinds with slats 2 or 3 inches wide. If you shop at Hunter Douglas for aluminum window blinds, you will have 129 colors to choose from and several different levels of privacy. If you just want reduced light, then you can have aluminum material in blinds that will permit some light to come through, while blocking the glare. You can also have these blinds in styles that give you complete privacy when you have them lowered. You don’t have to worry about not being able to put aluminum blinds to specialty cut windows. You can easily have aluminum mini blinds made to order to fit bay and corner windows and even arched or round windows. Along with using the standard cord to raise and lower aluminum Venetian and mini blinds, you can also have a battery operated tilt feature to the blinds. This feature is wireless, which makes installation of the blinds relatively easy. The motor is quiet, yet powerful and the 6 channel remote control can operate up to 6 window blinds as long as they are within 50 feet of the control. Aluminum blinds offer good energy efficiency. Blinds with this rating resist heat loss through the window during cold seasons, yet provide the shade you need when the sun’s blinds rays are strongest. With aluminum mini blinds and Venetian blinds you can also order for your windows with a high rating for UV absorption as well as forming a sound barrier. If you need to cover large windows, the Venetian blinds with the larger aluminum slats are the best ones to use. The steel head rail is rolled so that when the blinds are raised they are hidden within the head rail, although you can set them at any level on the window. The color choices in the line of aluminum blinds include solids, metallic and matte, which has a low gloss finish. These mini blinds and Venetian blinds provide the perfect dressing for any window. Install them within the confines of the window facings so you have the wood of the window exposed or use them with toppers and valances for a coordinated look. Whatever look you wish to achieve in a room, aluminum blinds will help you do it. If you are thinking of adding simple but beautiful effects to your room but have a budget constraint then window blinds are what you should be looking for. Window blinds will not only change the look of you room but also will also give you privacy and allow you to control the amount of light that enters your room. Choosing the perfect blinds for your room may be a difficult task given the innumerable options available. But if your room has wooden furniture and light warm tones then wood blinds will be the right choice. Wood blinds are available in both solid colors and wood tones. They may range from light tones to deep wood tones. Oak, maple, cherry or mahogany – choose the type that will match with your furniture. Woods blinds add a natural feel to your room but these are the most costly among all the various types of blind available in the market. Wood blinds need proper care so that they last long and is not meant for humid conditions. They are best suited for humidity-controlled environments. However, for humid areas you can use faux wood blinds. These wood look-alikes are a combination of vinyl and wood and require less attention than real wood blinds. These can be used for your bathrooms or kitchens. They don’t tend to warp unlike blinds made of real wood and are stain resistant. Woven wood blinds may also be an option for your rooms. These are made from wood, bamboo, grass and jute and are available in different colors, grains or textures. Woven wood blinds can be custom made to suit the requirements of the room. They give a natural and airy look to the room and can also provide protection against extreme weather conditions. Trims can be added to your blinds to add a decorative effect. Woven wood blinds has the advantage of being custom made to let the right amount of light enter the room and create the perfect ambience. Wood blinds may be vertical or horizontal. Vertical wood blinds provide a warm and elegant look to the room. They provide more insulation than horizontal blinds as these can be opened either from one of the sides or from the middle. The size of the slats is also an important consideration. Slats come in different widths ranging from one to two or three inches and should be chosen according to the size of your windows. Most people know venetian blinds as the slatted plastic strips with cords that are always tangled. These are quite difficult to clean and can make a room appear messy and shabby just by being tangled or crooked. Blinds with plastic slats are out in modern interior design. Decorators often choose anodized aluminum and silver blinds for a modern window with minimalist effect. Nowadays, the variety of available venetian blinds includes a range of different designs, textures, and colors. Presently, manufacturers are producing blinds in fresh colors and interesting textures either by anodizing, painting, or coating the slats. The black blinds that were the rage in the 90s’modern trend and the neutral beiges of industrial looks are now considered boring and outdated. Plus, expert designers agree that these colors only make a room drab and impersonal. However, these blinds are still worth keeping if you would invest in special lighting treatments, bulbs, and dimmers. The light treatments can soften the starkness of the blinds. But why waste money on lights when you can update your rooms by just choosing the right blinds for your rooms? The new, brighter neons will look perfectly retro paired with 60s’ and 70s’ memorabilias and designs. Colors like metallic bronze, gold and silver blinds are hot and will add instant glow and glam in any room. Rather than putting black or white venetian blinds for a wood paneled office, richer and more luxurious colors like deep wine or burgundy are advised. Brown and olive blinds are deemed best for earth toned rooms. Industrial spaces like offices look sleeker and more updated with blinds of celadon or cherry red. If the more adventurous and bolder colors are not your style, you can still update your blinds by choosing different textures. Wooden slats are good for Asian-inspired or bohemian-themed rooms. Leather covered slats look sleek and collected for offices. Plastics are still okay for uplifting the retro vibes. If your rooms still look dated, the problem might not be the color or texture of your blinds. If you’re still using vertical blinds, especially those that are floor-length, then you’ve found the culprit. These venetian blinds look unfashionable and outdated. Aside from being mostly same in color, they look impersonal. They also interfere with other decorative accents like statues or sculptures. If you’re still saving up to replace vertical blinds, putting sheer curtains or drapes will do the trick. Another outdated blind is the mini-blind though they still function as shades for small windows. Minimize old-fashioned vibes by buying vibrantly colored mini-blinds. Hand-painted decors are the ultimate fashion statements in terms of window treatment and venetian blinds use this technique. The slats on these blinds form part of a bigger picture when shut. These are more popular in Chinatowns and indie shops. As a result, most of the themes these blinds are of Asian or boho flair. These make for great accent pieces or as a surprise element in any room. Try any one of these tricks and watch your rooms come to life with new window personalities. A simple but elegant home is widely considered nowadays. You do not need to splurge big amount of money to give your home a classy touch. All you need to do is create ways to furnish your home with the elegance you desire but keeping it simple and cost-effective. One way to give your home the simple but elegant touch is to properly decorate your windows. You can opt to choose window blinds. However do not just hang your window blinds! Give it a look that is appealing not only to your eyes but to the eyes of anyone who enters your dwelling place. There are ways to create fine-looking window blinds. You do not have to be traditional. For instance, if it is a wooden blind, do not settle with the customary brown-like color. Choose a color that harmonizes with the atmosphere of your home. Normally, white is chosen as color for window blinds decorations since it matches other different colors that are available in your home. A blue sofa set will never go wrong with white window blinds or a purple painted bedroom complements white. However you can always play with colors to give your room the aura which you wish. Make sure though that colors are well coordinated. Most home decorators opt for managing their windows with clean, nominal, transparent and light-colored designs. Commonly you can incorporate your own designs so your personality will be reflected into it. • Mini blinds. These are blinds which have slim slats. • Vertical blinds. It comes in upright shapes. You will have the ability to rotate the blinds up to ninety degrees to let the sun fully enter your home. • Horizontal blinds. It comes in horizon-like shapes. • Woven-wood blinds. You can have it in wood, yarn or bamboo. Almost fifty percent of sunlight is being trapped using this type of blind. • Fabric blinds. There are varieties of fabrics which can be utilized as window blinds. Furthermore with fabrics you will have the ability to choose the type and design of fabric. Designs vary. It may depend on the type of window blinds you will choose. Sometimes it varies on how you look at things and how you incorporate ideas to come up with a window blinds design. At this time all you need to do is mull over to create an appealing window blinds. Let your creativity run wild! Vertical blinds are excellent window coverings for wider windows than their height. They can slide from one side to another. They are made from vinyl, fabric or aluminum named vertical because of its vertically suspended fabric strips or slats. Some collection of vertical blinds provides vertical louvers in PVC, aluminum or textiles with wide varieties of colors, finishes and textures appropriate for all design requirements in offices, homes, dining areas, conference rooms and reception rooms. Fabrics of vertical blinds are available over wide ranges of qualities in colors on different widths. The fabrics include polyester, metallized fabrics, fire retardant glass fibers, Trevira-CS or fabrics with specialized reflective coating. These fabrics have different transparencies degree ranging from semi-transparent, transparent, black out or opaque enables to control light at a specific level. Vertical blinds are technically created for comfort and convenience. – Head rail designs as well as other apparent components are elegant and slim. – Provides extreme smooth operation even for largest designs of blinds. – The louvers are equally spaced and proven to hang parallel and straight because of the self-alignment patent mechanism of the slat traveler. Even if the louvers are misaligned, it can be immediately restored to its original position. 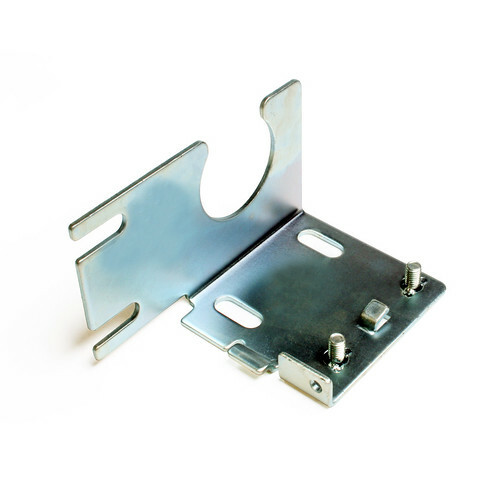 – Hooks that are damaged can be easily replaced without dismantling the head rail. Louvers stack is reduce at a minimum level upon opening the vertical blinds because the narrow louvers travelers are completely attached to the end cap. – Louvers stack can be transferred to another side of the track by through release of the end stop. – They have a standard design of the cord control or the ball chain. Some designs of vertical blinds are similar to a drapery allowing a more light control specifications. Vertical blinds are appropriate on either formal or casual decoration of your doors or windows. Designs of some vertical blinds can be outmoded yet it offers great opportunity for the owner to exercise creativity. Restyling vertical blinds is the cheapest way. Procedures include airbrushing or spray painting the blinds creating new textures. There are varieties of paint textures available to experiment with. You can add patterns through sponges and stamps for another creative technique. Another technique wallpapers pasting. Wallpapers have various designs. Choose what you like, measure the slats width and length and cut the paper accordingly. Apply glue evenly on the slats using brush and paste the wallpaper. Make sure to clean the slats before starting the procedures. Blinds Can Provide A Decorative Style To Your Home. ﻿Blinds Can Provide A Decorative Style To Your Home. If you home needs a new look, or you simply want to soften the style you currently have, consider installing window blinds. Blinds can provide a decorative style to your home as well as provide useful functions like increasing privacy or blocking the sun. Fortunately, no matter what style and colors you currently have in your home there are blinds that will work for you. There are a large selection of blinds that include Venetian blinds, mini blinds, Roman blinds, woven wood blinds, and vertical blinds. Each of these types of blinds offers a special function or design that will enhance your home’s décor. Venetian blinds are the typical horizontal blinds that can be raised or lowered depending on your need for light or privacy. They come in a variety of colors, sizes, and fabrics depending on your budget and needs. Mini blinds are just smaller Venetian blinds that fit inside the frame of the window. These blinds provide a classic look that is certainly not overdone. These also can be purchased in different colors and fabrics. The Roman blinds are made of long pleats of fabric that can be pulled to one side or closed if necessary, depending on your day to day needs. These blinds provide a very soft, natural look to your home that many people really enjoy. The woven wood blinds are natural looking as well because they are made from wood, weed, and grass fibers. As a result, they are great for homes that use a lot of wood and natural fibers as well in the décor. Finally, vertical blinds are simply long blinds that open and close vertically. These are frequently used for sliding glass doors and other large window areas because they can easily be opened and closed. They also come in a variety of materials like plastic, fabric, and others and always in whatever color you want. If you have a larger budget, or have something special in mind, then you could have your blinds custom made to meet your exact specifications. This does create a very special look, but is significantly more expensive. Installing blinds in your home will really make a difference that is visible and that you will really enjoy. The best thing to do is go online or to your local home store and find out what blinds are available in your budget and the ones that would look best in your home. When you buy your blinds, it is time to install them. This is something you can do yourself, or if you want you can have a professional install them as well. Don’t be dissatisfied with the décor of your home any longer, start shopping for your window blinds today and start decorating! It’s not hard to find discount vertical blinds. You just have to know the right places to buy blinds when you want to stick to your budget. Even though you don’t have a lot of money to spend, it is no good to buy cheap blinds that are not going to last. What you need to do is buy the top brand names of blinds at a discount. Vertical blinds are available from all the leading manufacturers. You can wait until they have a sale to get the discount price on faux wood blinds or you can start your search for discount vertical blinds on the Internet. First of all, you do need to have some idea of what you are looking for in window blinds. Vertical blinds look good in all windows and cheap faux wood blinds look elegant in a living room or bedroom. If you want to have blinds in a bathroom or kitchen, the faux wood blinds are what you will need because of the humidity. This is your first tip on getting discount vertical blinds. Now that you know you want faux wood blinds, you have a starting point to help you get the budget blinds that you need. You can also narrow down your choices to fabric vertical blinds, if that is what you want. When you enter “discount vertical blinds” into your search engine, you will get thousands of results. It will take time to go through all the online retailers of cheap faux wood blinds to get the ones you need. You shouldn’t stop searching once you find a site that has what you need in budget blinds in the color and sizes that you want. A little extra time comparing the prices may help save you money. There are online stores that have not ranked highly in the search engines that may actually offer a better discount than the first catalog of vertical blinds that you browsed. In order to know whether you are actually getting discount vertical blinds by searching online, you do need to have some idea of the retail price of the blinds in a regular store. You don’t have to go shopping to find this information because a simple telephone call will tell you what you need to know. Simply call a store in Benoni and ask the price of cheap faux wood blinds in a specific size. Then you have a price that you can use for comparison purposes when you view the prices of the budget blinds online. When you do find the discount vertical blinds at a price that fits within your budget, you do have to include the cost of shipping. Some retailers may forego charging you any shipping costs, if you place a large order. This is another way you can save money. If you have two or three friends that want to order blinds, then you can combine them all in one order and save money. Whatever you are looking for in discount vertical blinds, you will find what you need in top brand names when you shop online.